PrevenTech for Mining applies connectivity, big data, advanced analytics and internet-of-things (IoT) to securely deliver remote engine monitoring and reporting of potential performance issues using alerts and recommendations communicated through email, phone and a web-based Customer Dashboard. Keep connected assets running longer with fewer disruptions, while enhancing engine life and proactively addressing equipment health issues before they become costly. Customize maintenance intervals based on actual usage at each site. Gain visibility into real-time status of mining equipment to plan downtime and repair work more intelligently. Take advantage of optional 24/7 Cummins Care monitoring with personalized service recommendations from live Cummins experts around the world. 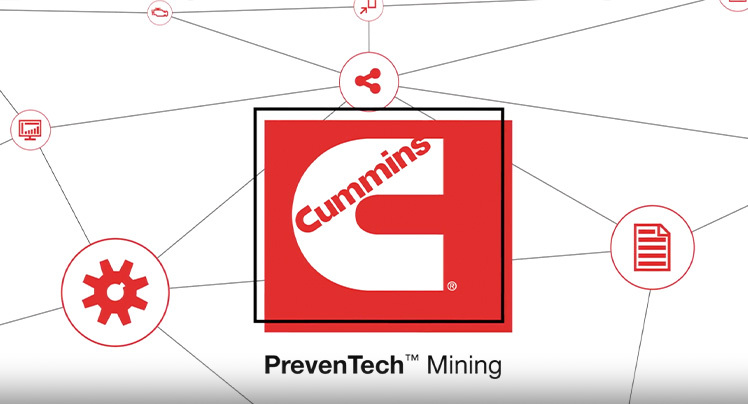 PrevenTech for Mining offers three distinct service levels with Base, Plus and Premium options. Features range from essential fault code alerts, custom rules and thresholds, to advanced algorithms with Fleetguard FIT™ prognostics, live monitoring from Cummins Care experts, and more.